Do you love spending time in your kitchen? Are you creative? If you do and you are, you will want to explore the many ways you can make extra money working at home in your kitchen. Each of these 20 ideas can lead to even more ideas. You just need to know what your strengths are and how much time you have to devote to a small home business. 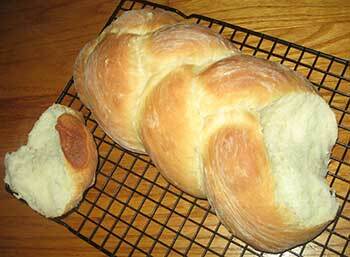 I used to bake and sell homemade breads during the winter months. My best selling times were after a heavy snowfall, when the stores were out of fresh bread. This was a huge money maker for me and I advertised with a flyer hung up at the local grocery store. Many of my recipes, over 400, are online. There are many people who love the taste of homemade soups, but do not know how or do not have the time to make homemade soups from scratch. This is why church soup sales do so well. If your soups are raved about, you can capitalize on people's love for homemade soups and prepare them in your kitchen to sell locally and in small specialty shops. Personalized, specialty birthday cakes are a good sell. If you are good at decorating cakes and making fun shapes from sheet cake, definitely look into starting this business. You can also specialize in wedding cakes. The catering business is alive and well. Provide food for family gatherings and small events. You will need to know how to cook many different types of meals in large batches and provide your potential clients with a list of the foods, quantity, and cost. A fun small business you can do in your spare time. Sell homemade doggie biscuits online and at local pet stores and specialty stores. Cupcakes are all the rage. The brighter, prettier the cupcakes, the better. Many people are starting up small cupcake bakeries in towns and cities. You can start from your home kitchen and work your way up to owning your own small bakery. Melting chocolates and pouring into moulds is a fun, part-time business that has the potential to grow into a full time business. 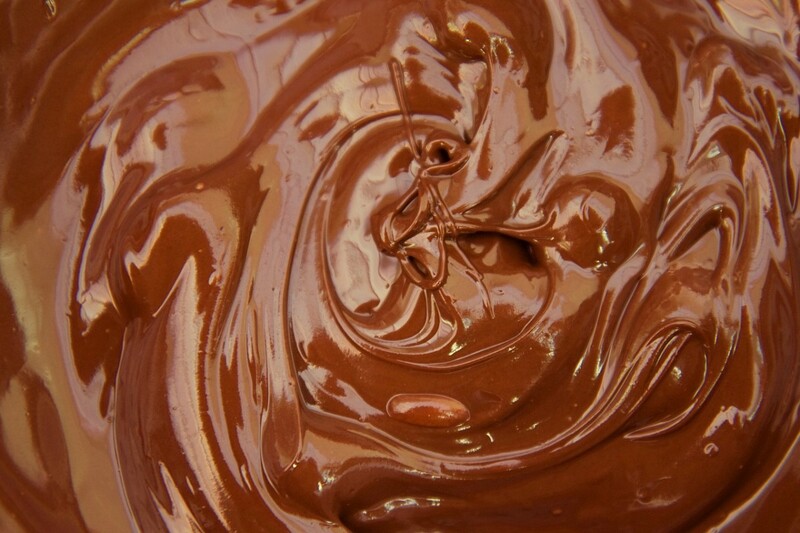 Many small stores will carry and sell locally made chocolates. You can also sell them from your home, through word of mouth and local advertising. There are many soap makers that sell online, but are their any local soap makers selling from the specialty shops in your area? If not, then you have a great opportunity to make some extra money making and selling homemade soaps. Make homemade skin lotions and balms in your kitchen. Sell them online and locally. You can also give small seminars from your home about natural beauty products as well as providing facial masks made with all natural ingredients. For chocolate lovers, there is nothing better than homemade, gourmet chocolate desserts. If you have a knack for melting down blocks of chocolate and turning it into something to die for, look into getting set up as your town's chocolate fix. You have not had a doughnut until you've had a fresh, deep fried doughnut that is still warm to the touch. People living in Pennsylvania can also provide locals with freshly deep fried fastnachts. I remember how hard it was to find a good pretzel when my family and I traveled out West. Being from Pennsylvania, we were spoiled with true German pretzels. If you love playing with dough, learn and test out different Pennsylvania Dutch or German pretzel recipes until you find one that you know will knock the town's socks off. Opposite from pretzels, the best bagels are out west, especially in the Seattle area. Bake and sell homemade bagels for the breakfast crowd. You can sell them from home, local stores, and at office buildings, with permission from the owners. Lollipops will never go out of style, but the ones sold in the grocery stores leave a lot to be desired. Make uniquely shaped and flavored lollipops to sell. Aim for themes: holidays, birthdays, and even weddings. A new trend is gourmet popsicles. 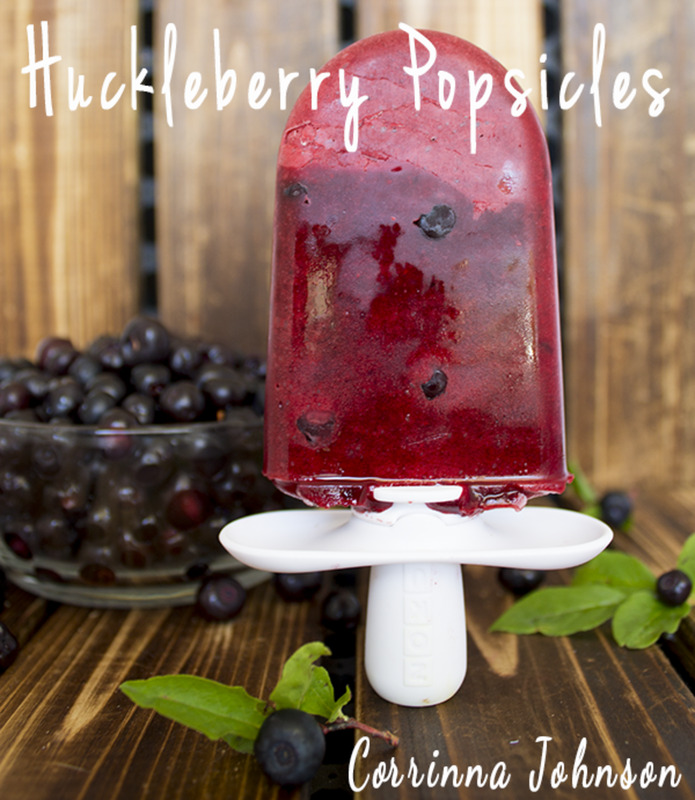 Make popsicles from homemade fruit blends and purees. You can sell these from your home freezer for parties or have your local stores carry them for you. If you have the extra money, buy a used ice-cream truck and sell these popsicles at local events. Grow your own herbs outdoors and bring them in to dry and blend. Create unique tea blends for your local market. Create specialty blends for the seasons and holidays. Is there something you are exceptionally good at making? Quiche, chowders, soufflé? Are you an expert with a type of cuisine or are you great with all the basics of cooking? Finally, are you good with people? There are so many people that want to learn how to cook and bake, but have no one to show them how and they are not able to learn from books. Provide cooking and baking classes from your home, teaching one to three students at a time. While candle making can be quite messy, many candle makers make candles in their kitchen. 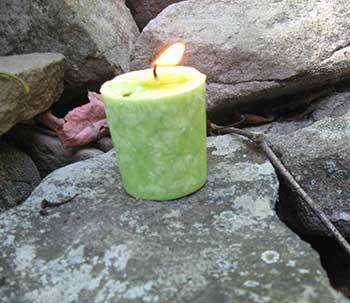 To break into the candle making business, you will need to come up with a unique line of candles. They will have to be more than just colored, scented pillars. Find a unique niche, such as Halloween candles or spell candles, and make it work. Do you know how difficult it is to find genuine horehound candies? And when cold and flu season hits, even the mass produced brands are sold out. Making horehound cough drops will require you to grown your own stock of horehound in your garden, but come autumn, you will be glad you prepared for the onslaught of sick people looking for these cough drops. For my youngest daughter, I made many types of freshly pureed fruits and veggies for her. Like the baby food pouches you find in stores, I mixed up my own delicious and healthy concoctions. If you are involved with a lot of mothers of young toddlers, ask around and see if there is a local interest in freshly made baby foods. For my daughter, I would make large batches of pureed fruits and veggies and then freeze the puree in ice cube trays. Each night, I would get out the amount of cubes I would need for the next day and I would let them thaw in small plastic containers in the refrigerator. Really nice ideas! They can actually turn out great and lucrative. Would love to read more about baking from you. great way to combine foodie passion & fun to make some money! What a wonderful share;so useful and one for me to vote up and share. This was actually a fascinating article for me since I have been wanting to do something like this for quite some time. I do make many soups that people I feed them to rave about, as well as a few sauces, including spaghetti sauce. My aim has been to get real familiar with the canning process and sell my products online through eBay or some other source. A few questions I have are , in order to sell canned items online, do I need to have my kitchen certified? What health department requirements are there to consider? Do I need to have my nutritional information evaluated? With your own endeavors, what have you had to do to legally sell your products? I like your article. I could not help but think that regulations and some kind of certification may appear when it comes to the business of food. Do you have an ideal who to contact to make sure you and your food are legal? Enjoyed this page, thanks for sharing. Here in Oregon one would need a health permit to produce anything in a home kitchen. If you have pets, ie: dogs or cats then you would have to keep them out of the kitchen and you would in all likelyhood not be able to get a permit. When my wife was alive she used to bake pies and she was very good. She would sell her pies, primarily to church members and neighbors. Then along came a "good" neighbor who reported her to the health department and they immediately shut her down (after sampling one of her apple pies). Because we had a little dog house pet they wouldn't give (sell) her a permit. Ya gotta love big brother! Interesting article - I do however think, some important information on health regulations seems to be missing. In many states/counties your kitchen will need to be inspected before you can prepare and sell food out of it and some jurisdictions may require you to got through ServSafe certification. Might not be needed if you just sell occasionally, but if you're going to have a website, sell to shops etc. I would definitely recommend getting these "official" things done. That's just my two cents though. I llike this ideas, and think I may be trying some! What an awesome hub full of great ideas for making a little extra cash at the house. Excellent ideas for people to become financially independent. There truly something we all can do to become our own boss. The sound of making home made baked bread for a small business sounds delicious. I added a hand soaping business to my sewing business and it is going well. I've been getting a lot of orders. I made my debut Christmas time in the mall. I rented 2 booths and sold a lot of soap. This year I'm expanding my soaping business to body scrubs and butters. The best to you. Voted up! I had been thinking about the dog biscuit business for a while now, I am going to have to go for it and see what develops. Thanks for the ideas! When i was in high school I made a lot of money making pies for the neighborhood women. My mom had bragged to a couple about them and they asked me to make them for them, and then most of the neighborhood started asking. And i enjoyed it as I love to co0k. Also was an ego trip too for a 14 yr old boy. Should have been a chef. I love your baking ideas and tips. I also love to bake. I'll bake for church events, on holidays - as gifts to my neighbors, but have never thought of selling it. Great hub though. Enjoyed reading it. Congrats on the HOTD award. I have always wanted to make money from my kitchen but my intention always comes in short sprees that don´t last very long. Last one was during October 2012 when I sold 4 spiced pumpkin cakes and made about 70 bucks net profit just for the 4 of them. Selling bread sounds very appealing to me too. The problem is never making it but WHO to sell it to!!!!! The Doggie idea is great.... I don't have the time to start a dog biscuit business, but I do have the time to make some treats for my own dog... [one less visit to PetsMart].... Hooray! There are certainly a few things from this list that I do make at home and sell, like herbal tea blend (you have chosen an excellent book to pair with this suggestion) and candles. I am sure your article may start some new business ventures here. I can smell the bread baking! Yum! Your article made me instantly hungry for bread. It all looks delicious. Great content here. Congrats on HOTD!! My hubby has been wanting to try this for a long time. He loves to bake breads and desserts. I've bookmarked this hub for him so he can check it out!! Voted up and shared as well!! Love the hub, going to try bread recipe, have attempted home made loads of times even with bread makers follow recipe exactly but always comes out heavy just not the same as bakers at all. just Pinterest- ed as well. Great ideas, just what I need now to keep up with my studies! Keep them coming ! Great suggestions. Thanks for sharing them with us. I had planned to sell a food product at our local farmers' markets this summer but it is not allowed according to Colorado's cottage food guidelines for these markets. These are very unique ways to generate income from home. I grow lots of herbs and never thought about creating something special to sell. I really fancy the idea of creating a line of natural beauty products using some of the herbs already growing in my garden. Thanks for the idea. Excellent hub full of great ideas. Years ago, I had a small home-based business baking specialty breads and marketing them word-of-mouth through friends and family. Those were in the days before the legal issues became so complex. Thanks for following up with the links to cottage food laws. Unfortunately, too many of us have too many legal hoops to jump through when it comes to operating a home food business, but if you've got a great product and are passionate about what you are doing, anything's possible! First, congratulations! Second, wish I had your talent! Great ideas. Your hub is full of ideas which can give you an earning at the comfort of home which we hardly have delved into before. Thanks a lot. Super ideas! Thank you for sharing! I've inquired about breadmaking (which I'm currently writing a hub on! 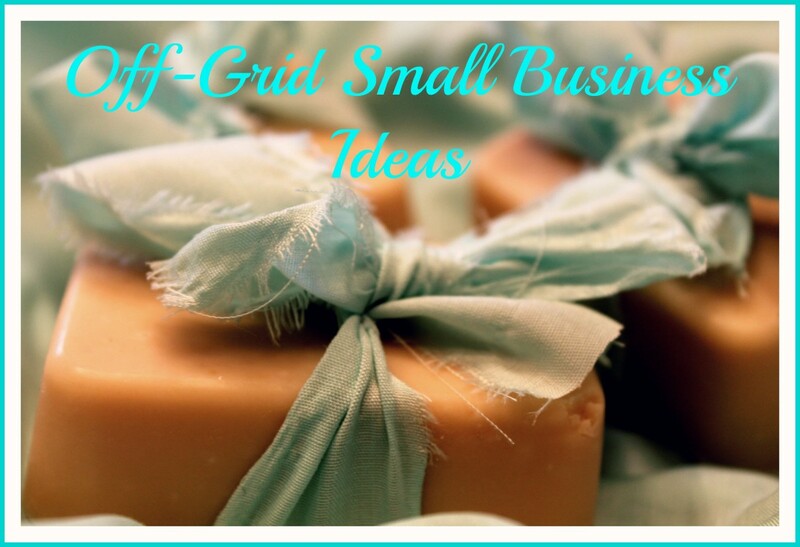 ), soy candle making, and homemade soaps. I've yet to take them to the next step though! I like all of your other ideas too! They got me thinking! Congrats on 'Hub of the Day'. Lots of delish ideas here, only if I knew how to make half of these things! Never too late to start though right? Thanks for sharing these wonderful ideas. As a Canadian citizen and resident of the province of Ontario I would recommend any other Canadian resident to take extreme caution in seeking to make money from making any kind of "homemade" foods from your kitchen. To the best of my knowledge, it is against the law... and if this is something you do wish to pursue please do your homework as to what is required legally to make your food and then sell it in the province you reside or you will be facing criminal charges of great severity (sad, but unfortunately true). The Ontario government has a heavy hand when it comes to shutting down operations that are deemed illegal due to the violation of the government's health and safety regulations. That aside, a great Hub! I love Hubs that gets people thinking outside the box... I always think it's best to make use of the resources and skills a person already has, whatever they might be to try to make money. Well done. Very interesting hub. I look forward to reading more of your hubs! The legal issues involving each state/municipality would be more than enough to fill a large book, which is why I do not cover the issue here. Locally, I know of nearly a dozen people that began their food businesses in their home kitchens, baking wedding cakes and desserts, and even pretzels to sell to friends and families. They now own full scale operations, two of which are known across the U.S. I know dozens of other ladies who have run or still run small operations from their kitchen. As for gluton-free recipes, there is a HUGE need. Since you are writing your own recipes, you really could make a good amount of money online from your skill and knowledge. Even teaching classes locally would bring in a good income. This is really interesting. 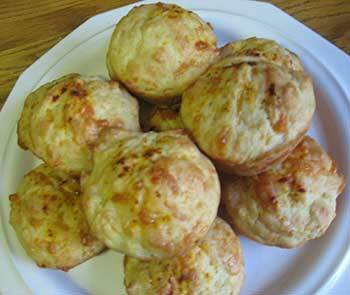 I post my own gluten-free recipes on my blog. I also enjoy making einkorn bread and I'd like to venture into making sprouted grain flours and bread. All this to say that I'd love to start a business where I could generate income with my baking. I think that here in Florida, you need to cook in a licensed kitchen in order to sell your food legally. Have you had any experience in the realm of "legal cooking"? Lol--I couldn't think of a better way to put that! These are some great ideas. To make money, or even to use for creative gifts! I love cooking, and I am good at it. I should look into some of these options for myself. My father and his wife also do fundraising for cystic firbrosis and she loves to bake. I am going to suggest she sell baked goods. Thanks for the idea. Wow this is a great Hub. Thank you for offering some ideas that I have never contemplated. Awesome hub. You got me thinking about staying home and making money. That is what I want to do. I actually know someone who turned her love of baking into a profitable business! She bakes pies, breads, and cookies and sells them at the local farmer's market each week and makes enough during 'the season' to have it as her 'full time' job! Very good and helpful. I like the idea of homemade soup! There are lots of woman out there across the world who are stay-at-home moms. They don't usually have much to do once their kids grow up. So these are some really great ideas they can use. It will not only keep them occupied but can add to some pocket income as well. I think it's a great hub and a well deserved HOTD! Loved the article, but I couldn't help but wonder what horehound is.... a link with a recipe, or at least a better description of what it is would have made the article just a bit better. GREAT JOB THOUGH!!!! Voted up, interesting, and useful. Congratulations on your well-deserved Hub of the Day! You've offered some great ideas for making money from your home kitchen. The photographs (especially of the mouth-watering bread) are great! Voted up, useful and interesting. Shared, too. Congrats on your Hub of the Day award for an inspiring post. This is a great springboard for people who want to know what can be done to make money from their own home. Specially the baked breads and baby foods. Baked breads are in big demand in areas where people are busy with their office work. And these breads are something which are quite handy and one can eat it with anything. What great ideas! And so well organized. Congrats on HOTD! Great hub. Congrats on HOTD. I will add, that in most states, you need a food license to sell food out of your home. If you start selling food and don't have a license, you can get fined. It would be best to check before going ahead. As far as the herb teas, it would be nice if you knew what you were doing. Herbs are natural, but can be harmful if you don't know how to blend them, and don't know the "cautions" that should be put on the package. Even mint has "cautions". I love spending time in my kitchen. What great ideas! I love to cook, so it seems like I'm in the kitchen all the time anyway - would love to generate a little income from my obsession. I wasn't really familiar with horehound or its usage, either. Thank you for this info! Congratulations on HOTD and so well deserved. Fabulous ideas and you rekindled my notion of wanting to make candles just for personal use. It would make a change from car and bike parts in the kitchen which would make my partner very happy. Great job and voted up. These are all great money-making ideas and from the convenience of your own kitchen! I applaud the summary as this took time. The pretzels and herbal tea blends I like most, but only because these happen to be a weekly staple of mine. Voted up for useful and fun! This is a useful and interesting hub! Well deserved HOTD. I would love to make candles and I've recently developed interest in cooking and baking. However, I live in a hostel so I only cook in my vacations when I come home! I live in a village - a small place in Pennsylvania. For soaps and candles - yes, you would need to sell something unique. I don't know how successful you would be on craiglist, but I know a lot of people who have developed followings on etsy and ebay. Local craft shows are also a great place to sell and network.